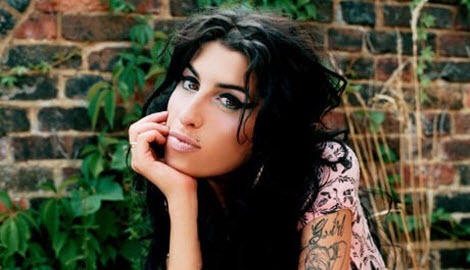 Amy Winehouse was a Blues Woman in every sense of the word. She carried a heavy load and unpacked it for all the world to see without adornment, accoutrement or affectation. Girlfriend kept it real to the very end. The first time that I heard Rehab I loved it—the melodic refusal for refrain, the throaty intonations, and that bad grrrl Ronettes flow. Whoa I was shook. I needed to know the sister who was bold and sassy enough to sing “No, No, No” when confronted with the idea of detox. When I found out the “sista” was an English White girl I was stunned. I hadn’t been that shocked at having my musical race card pulled like that since discovering Teena Marie was the voice behind “Square Biz.” Oh yes Ms. Winehouse (a surname that seemingly laughed back at her and us) had the kind of soul that defined singers like Chaka, Donny and Jill. She also embodied the street sensibility, attitude and wit of hip hop. Like in Rehab when she sings, “Yes, I’ve been black, but when I come back you’ll know” I always thought that was a wink to the heads who considered her a sista nonetheless— subliminals for the haters if you will. And no, Rehab wasn’t her attempt to glamorize her addiction. The beauty of Rehab was that it was her truth and the truth of so many people dealing with the disease of addiction. It was her putting her ish out there– jagged, pulsating, broken, and sad. Today as Amy Jade is laid to rest I can’t help but play my favorite song by her “Some Unholy War.” This song soothes me with both gloom and hope, which is always what I feel when confronted with death. Hope that death has transitioned loved ones to a “better place” and gloom for the loss of life. Amy in her young 27 years of life must’ve died a thousand times and fought a number of unholy wars: The love of her husband– Blake Fielder-Civil– especially while he was incarcerated, the fight for privacy when paparazzi wanted all in, but the biggest battle had to be her drug and alcohol addiction. It may not have been Jihad, but clearly her spirit was on the line. She would often give her man a shout-out from international sold-out arenas while he was in jail because I’m sure, for her, it was just them “on kitchen floor.” Surrounded by millions I’ll never comprehend how alone she must have felt particularly that recent night in Serbia when she was booed off stage. No matter how high she may have been, I’m sure she still was able to feel the sting of rejection. On Saturday her addiction got the rest of her. Her fans, those of us who appreciated the dark matter that she brought in her music in response to that painful sting, well, we got the best of her. Rest in peace Amy. What a great tribute! Well said, indeed!